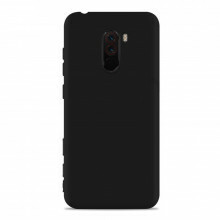 Pocophone F1 - Affordable model with flagship. 8 Qualcomm Snapdragon 845 core processor, 6.18 "Full HD + IPS display with 2246 x 1080 pixels, dual camera (12MPx + 5Mpx), 4000mAh battery and QuickCharge 3.0, Android 8.1 with modified MIUI. 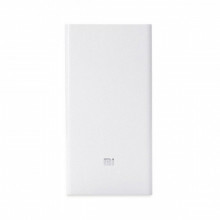 The fact that Xiaomi is not sleeping on laurels convinces us every month with the latest scrubs, so we do not even think of another brand. 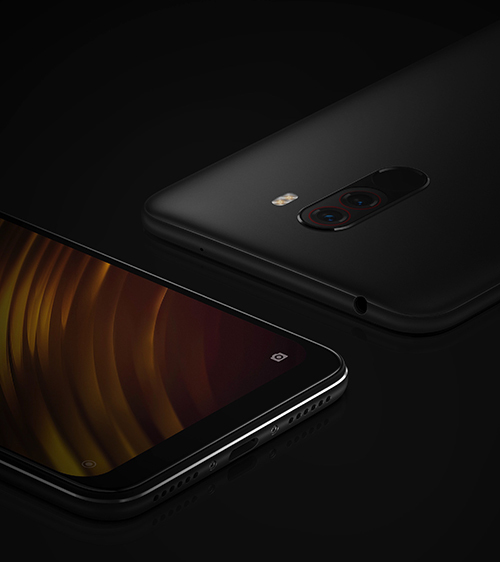 This time, in collaboration with the POCO brand, there is a puzzled Pocophone F1 that offers uncompromising performance for reasonable money! Offer you will not find elsewhere. 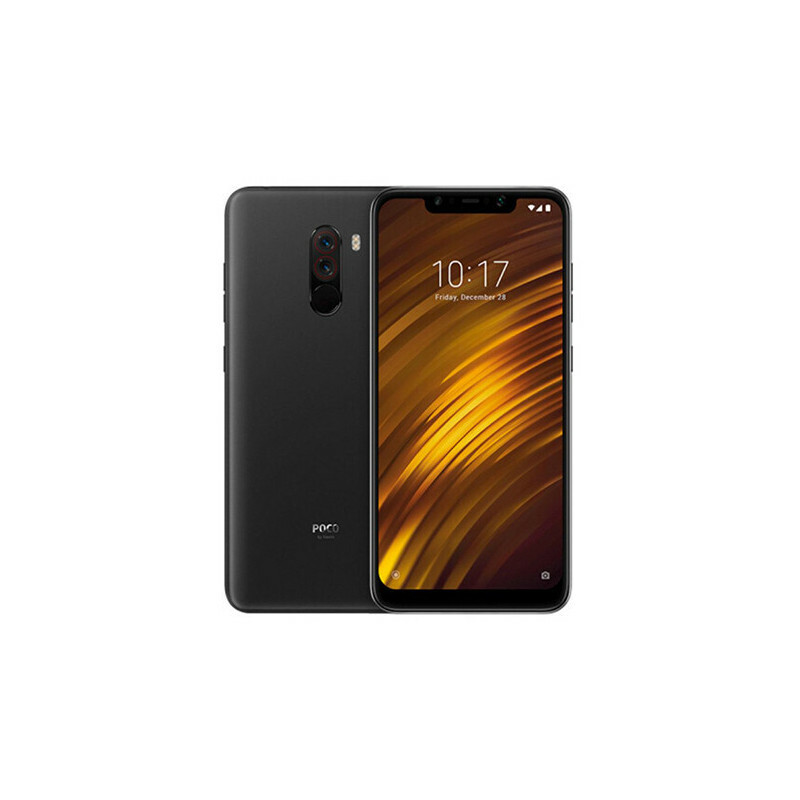 The Xiaomi Pocophone F1 has a modified version of the MIUI, the so-called "Poco MIUI", which you will not find on the classic Xiaomi phones. The main change brought by the redesigned launcher (Poco launcher) is an application menu that allows you to split apps into different categories. You will also be able to hide applications with this launcher that you do not want to see in everyone's eyes, and you can also use your own icon packs to differentiate them from others. That's what we all want, is not it? Guaranteed is also a much faster and smoother operation of the phone. It is equipped with an ultra-fast motor, giving you increased ease of movement between applications and also ensures immediate startup. 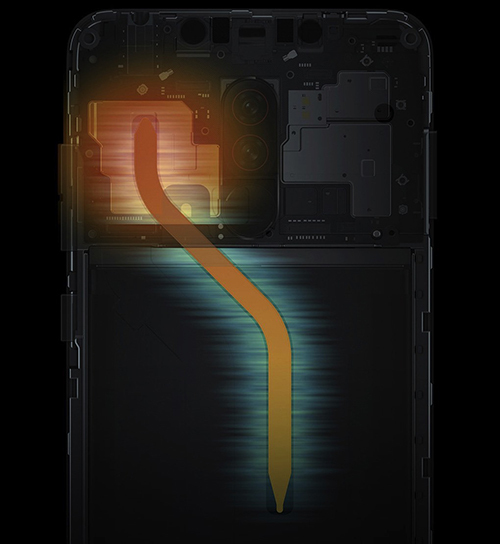 The Qualcomm Snapdragon 845 processor , currently among the top performance mobile processors, can handle even the most demanding games and applications in combination with 6GB of RAM. And if you're a more demanding user and 128GB of internal storage, you'll be able to add up to 256GB of memory to watch movies and serials on long journeys on your mobile. Another great gadget that LiquidCool will want to get you right now is LiquidCool . If you have not heard of it yet, we will dedicate you. LiquidCool is a cooling system that is used exclusively in gaming handsets to keep the processor at high frequency while not overheating. No matter how hard and fast you play, the chilled processor has no problem keeping you up, so beware of your phone's delayed responses, frozen screens, and lost duels. It's just your fight. And now we will return to the real world for which Pocophone F1 is also a great companion. We go for trips, holidays, family events, evening events and we want to save all moments in addition to our internal memory and to our external memory. Intelligent camera system along with advanced AI features by which telephoning, lets you make breathtaking pictures without the slightest knowledge of photography or even artistic sensation. The main dual camera is equipped with a pair of 12Mpx (f / 1.9,) and 5Mpx (f / 2.0) , 1.4μm wide pixels and dual pixel focusing. The camera can independently switch between 206 smart scenery modes, combined with Artificial Intelligence (AI), the camera can set the ideal exposure, luminosity and color adjustments itself. If the shoot has never been your big hobby, it can change with this phone. The front camera sensor with a resolution of 2 megapixels 0 (f / 2.0) with 1.2μm pixels big help also when shooting with friends or your loved ones' selfiečkách "does not make wrinkles on the forehead, because they will always look as good as you look, in fact, . And if this is not enough, the camera is of course equipped with the Beautify 4.0 feature, so if you happen to have a day "I do not feel good in my skin", you can easily adjust and improve self-portraits and improve your day a bit. You can also help with improving your day with good music on your phone, which (and now most of you say "thank God") can be listened to through your favorite wired headphones as the manufacturer did not make a 3.5mm jack and put it on the top of the phone . Good music should listen for long enough to help you with a 4000mAh battery. The battery also guarantees up to two-day running of the phone so you can leave your USB Type-C charger at home without worry. The music includes video clips that you can enjoy in a great 6.18 "FullHD + 18.7: 9 aspect ratio screen. 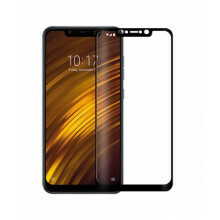 The display is covered by an internationally recognized Gorilla Glass glass, which does not scratch anything but we recommend buying a mobile phone glass, which you can also find in our offer. The phone is our everyday companion, so good luck with your frosty, unreliable phone and welcome this MASTERPIECE.